Adventure, Nostalgia, and a look at an amazingly diverse life. Five totally different lives including an in-depth look at the problems of caring for a spouse with Alzheimer’s disease. 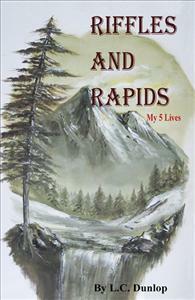 The author, during a thrilling whitewater rafting trip on the Salmon River in Idaho, talks to his grandson, reminiscing about his early life on a farm in the rural South during the ‘30s and ‘40s. He then takes the reader through four more completely different lives he has lived on his way to a ripe old age, one of which was caring for a wife with Alzheimer’s disease. The reader is treated to an exciting ride on a wild river, nostalgia, and an in-depth look at the difficult life of a caretaker of an Alzheimer’s patient.